Give something extraordinary with The Rocks Push Gift Voucher. Redeemable online from our swim short range. The Rocks Push Gift Voucher is presented in a ribbon-tied recycled card rigid gift box with lid. Your personal message is written on the card. Voucher is posted in an unmarked Australia Post satchel to keep the mystery until the moment of opening. Redeemable online from our swim short range. 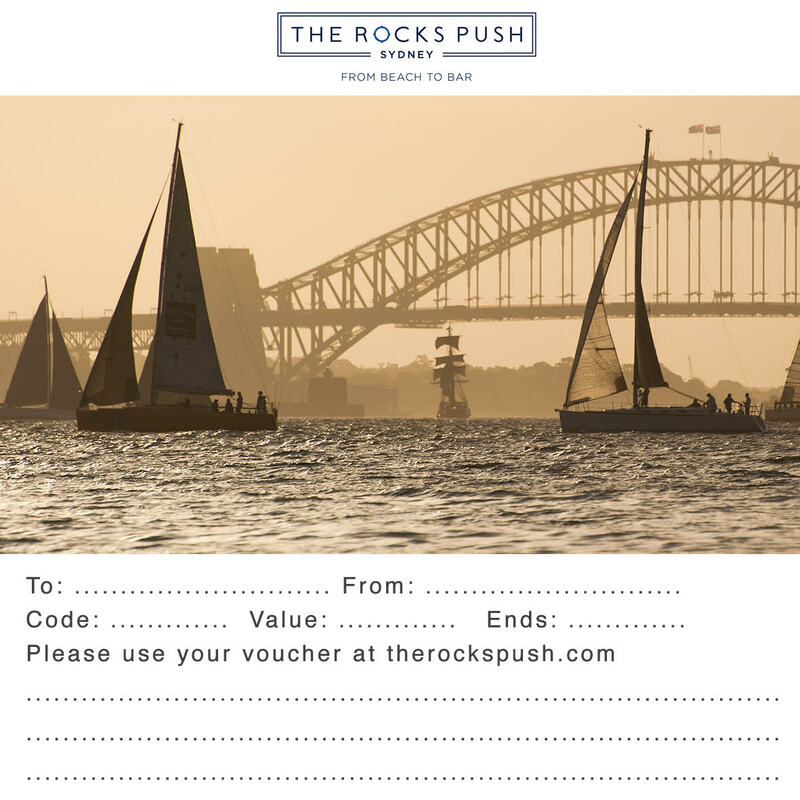 The Rocks Push Gift Email Voucher is sent directly to your gift recipient via email. Your personal message is written into the email.